At age 30, Chukarin dominated the 1952 Olympics in Helsinki. He led the Soviet Union to its first Olympic team title and won golds in the all-around, pommel horse and vault. He also won silvers on rings and parallel bars. After World War II broke out, Chukarin was taken prisoner and spent four years in the Sandbostel concentration camp. He escaped death and returned home in 1945, so thin his own mother didn't recognize him. When he graduated from the Kiev College of Physical Culture, Viktor Chukarin, who was born Nov. 9, 1921, in Krasnoarmeyskoye, Ukraine, was forced to put his gymnastics career on hold. World War II broke out, and Chukarin fought in an artillery unit. He was soon taken prisoner and spent four years in the Sandbostel concentration camp. Through good fortune, Chukarin escaped death and returned home in 1945, so thin his own mother didn't recognize him. Chukarin got busy in the gym and rebuilt his emaciated body. In 1948 he became USSR champion, a title he would hold through 1951. Then, at age 30, when most gymnasts are ready to retire, Chukarin dominated the 1952 Olympics in Helsinki. He led the Soviet Union to its first Olympic team title and won golds in the all-around, pommel horse and vault. He also won silvers on rings and parallel bars. 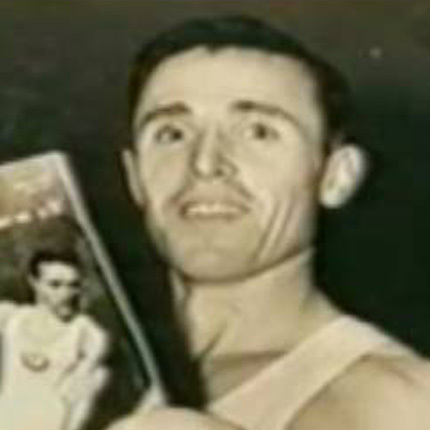 Two years later, Chukarin led the Soviets to its first World Championships victory in Rome, where he won the all-around crown and the gold on parallel bars. Known for his calm under pressure, Chukarin slowed little signs of slowing at his final major competition, the 1956 Olympics in Melbourne. Again, he carried his team to victory and claimed yet another all-around title. 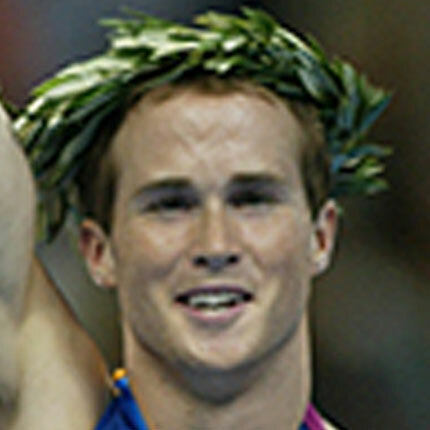 In the apparatus finals he won the gold on parallel bars, placed second on floor exercise and third on pommel horse. Eleven medals in two Olympics! Chukarin, who died Aug. 25, 1984, was remarkably efficient in the relatively few competitions he entered. But perhaps his years as a prisoner of war merely taught him the patience and cunning to overcome adversaries of any kind.